Gaming, mobile or otherwise, continues to be a huge part of today’s digital experience. Not just millennials but even Gen Xers as well are very much engaged in the digital gaming world, mostly through mobile gaming using their smartphones and other handheld devices. Whether it be just to pass the time, interact with new people or bond with friends and family, gaming apps have become a regular leisure activity for many Filipinos. Committed to delivering meaningful experiences through innovative mobile technology, Motorola makes smartphone gaming last longer with the Moto E4 Plus’ massive 5000mAh battery. This year’s latest addition to the Moto family of smartphones ensures gamers can immerse in their gameplay without worrying about depleting the phone’s battery or compromising its overall performance. Gaming apps require a lot of power to run. Some of the best gaming apps require Wi-Fi or mobile data connection. With their advanced graphics and special effects, games take a lot of toll on the smartphone’s battery. Many enthusiasts keep games running on the background, which drains the battery even faster. The Moto E4 Plus is specially designed for longer smartphone engagement. The phone’s 5000mAh Li-polymer battery can last for two days, promising many hours of gaming fun. Besides the large energy capacity, the Moto E4 Plus comes with a 10W rapid charger that reloads power in just minutes of charging to assure nonstop power playing. Mobile games are programmed with complicated features to give players a more challenging and engaging gameplay. But while these features up the ante in gaming, they require complex data and instruction processing and consume a lot of memory. These combined can cause the smartphone to overload and respond slowly to user commands. Powered with a quad-core MediaTek MT6737 processor clocked at 1.3GHz, the Moto E4 Plus operates instruction sequences at a faster speed. 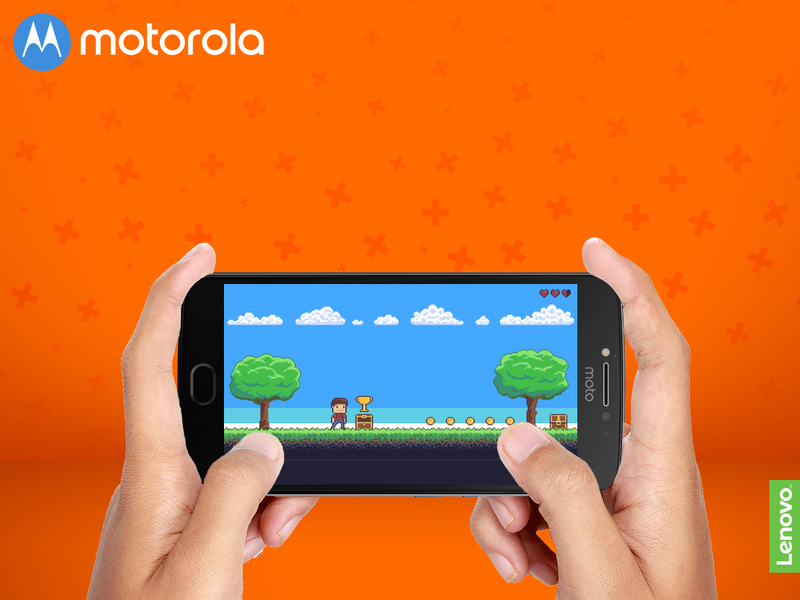 Packed with 3GB RAM, 32GB internal memory and the latest Android 7.1.1 Nougat, the Moto E4 Plus can run casual gaming apps without the risk of overwhelming the system. The gaming experience is made more captivating by an HD display and powerful audio. Every sparkle and explosion becomes more realistic, further stimulating the engagement of players. The Moto E4 Plus features with a 5.5-inch. It boasts a 720x1280-pixel resolution and multitouch capacitive technology, delivering clear and detailed graphics and greater control and input, respectively. The smartphone has a loudspeaker and active noise cancellation to boost the audio experience.